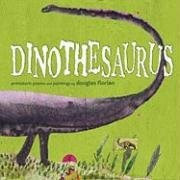 For Poetry Friday a poem from DINOTHESAURUS. As the Glossarysaurus explains, Pterosaurs were flying prehistoric reptiles (not true dinosaurs) that lived in all three periods of the dinosaurs: Triassic, Jurassic, and Cretaceous. They flew on wings of skin that stretched from their bodies to the tips of their long wing fingers. The Poetry Friday roundup today is at Elaine Magliaro's Wild Rose Reader. Check it out! What a fun post!Loved it! Seriously, I can't wait to see the whole book. I love the last three lines, Doug, but it's ALL good! 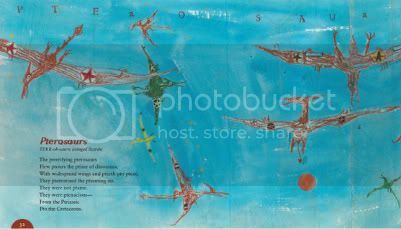 I love all those flying pterosaurs in that gorgeous blue! I'm in stitches. That is funny and adorable at once. Thanks for sharing it! BTW, Douglas, thanks for adding mine to the blogs you follow. Also, you may be interested that I did a little plug for you back in January. 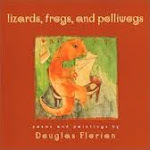 You never cease to make me grin with your rhymes: ptenacious and Cretaceous! LOVE IT! I love dinosaur kids books! Goodness knows we had a ton when my kids were at that age when they wanted any and all things dinosaurs. Rab: sorry to have put you into stiches.The phrase was first used by Shakespeare in Twelfth Night, 1601. If you desire the spleen, and will laugh yourself into stitches, follow me. Yat-Yee: thank you so much for your plug. I hope to return the favor for your premier book soon. Mary Lee: Keep grinning for me. Terry: Yes, dinosaur books do weigh a ton. Thank you and your sweet blog. This is classic Florian. I love your invented spellings. And one day, I'm going to get here soon enough after your post to use one in a comment without looking like a copycat! The whole thing's great, but I esp. 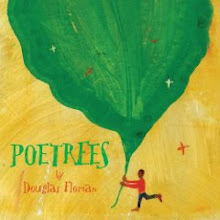 love "With widespread wings and pteeth pto ptear,/They pterrorized the pteeming air."